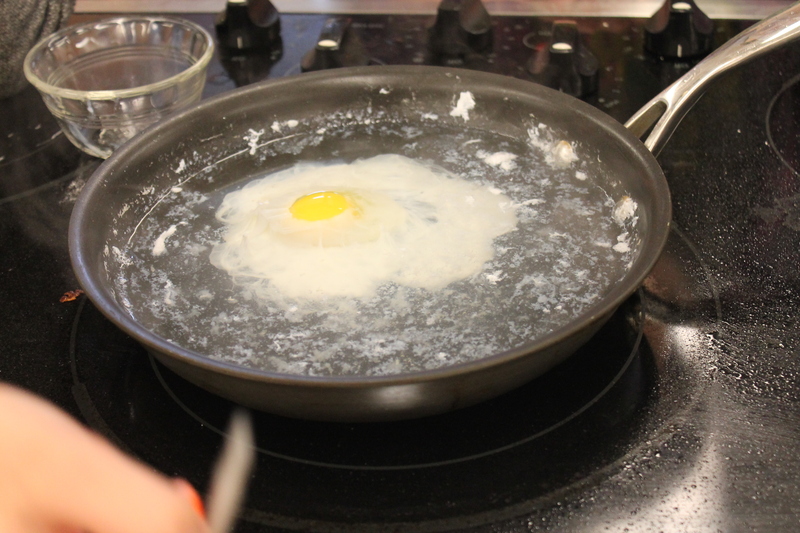 I wanted students to have a hands-on opportunity to try egg poaching since it is a test question in the egg unit. 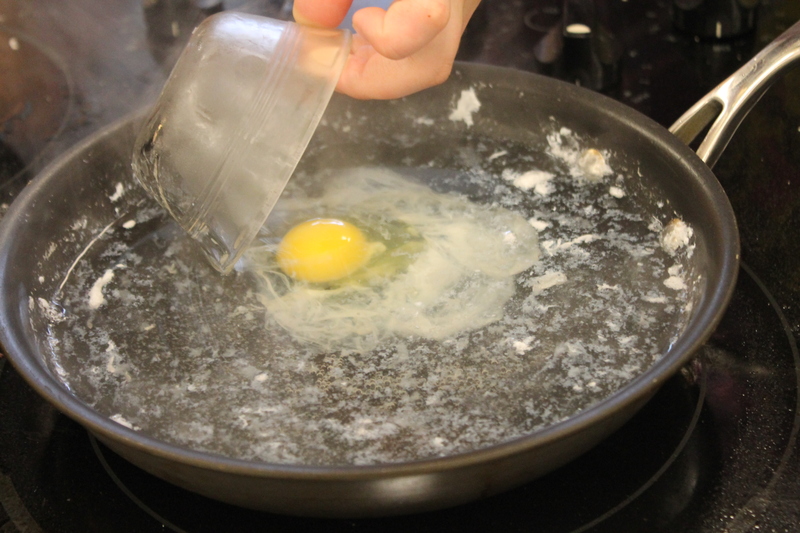 Eggs simmered in water. Let’s review our youtube from expert Alton Brown, not Jackie Brown. I’m the expert in egg boiling by the way. This was a mini-lab worked into a review session on eggs and dairy prior to our test this Friday. Here we go, students prepped boiling water with 1 tablespoon vinegar. 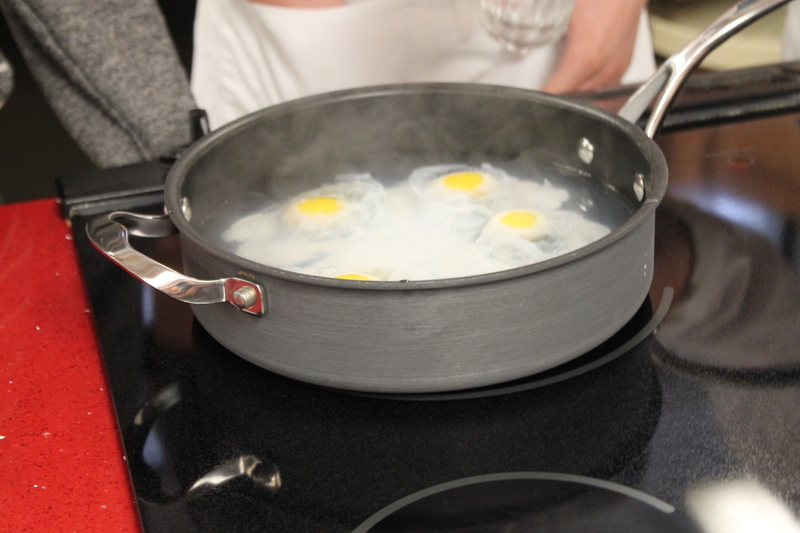 Using a ramekin, they gently lowered the egg into 190 degree water and turned heat off. 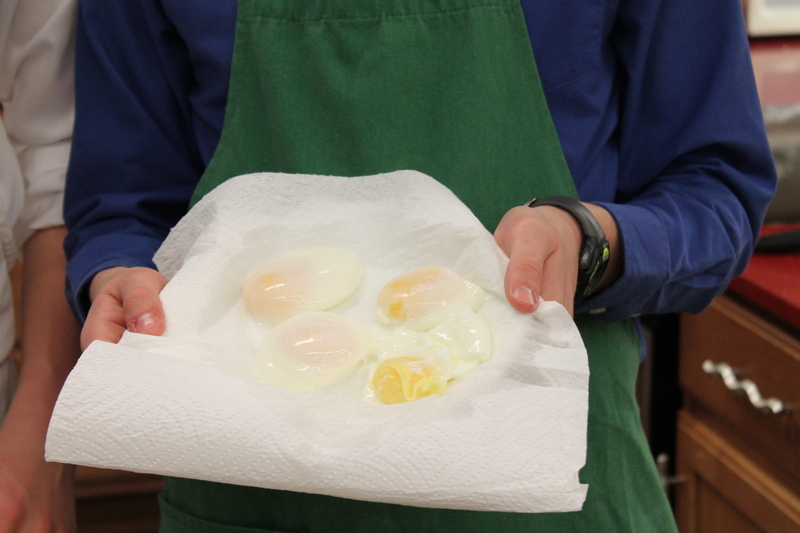 The process is daunting, but students soon discovered they didn’t have enough water to cover their egg. It should have been 1 1/2″ as indicated by Alton Brown. The top of the egg didn’t quite get done for some. 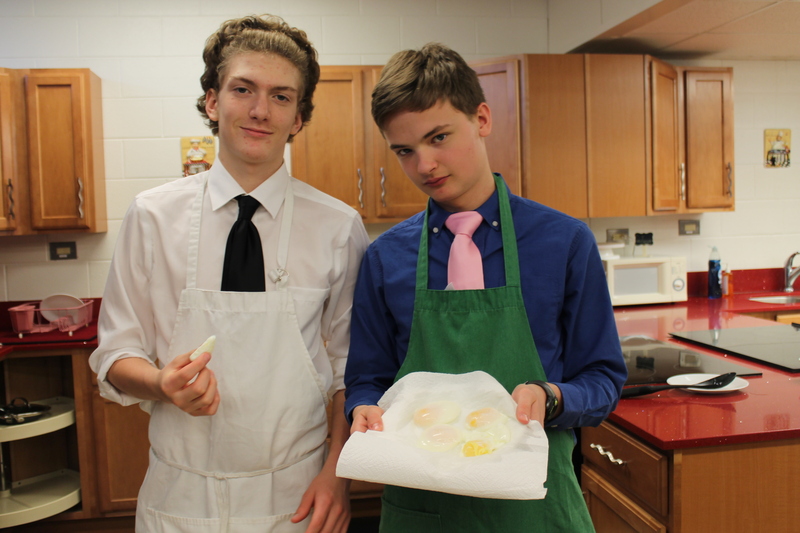 Luckily, we only had one egg per group to practice. Although I had a few extra eggs and my Iron Chefs thought they would eat theirs. 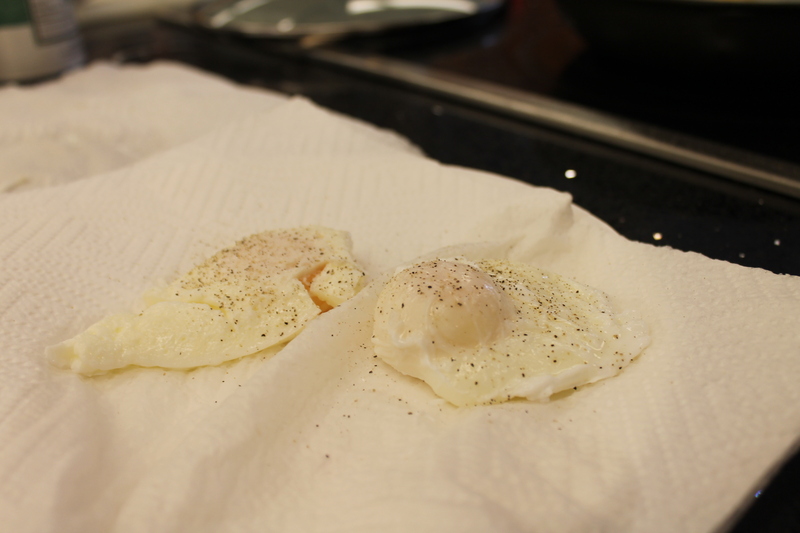 Ooops, they showed me the yolks were a little under done. Lesson learned. 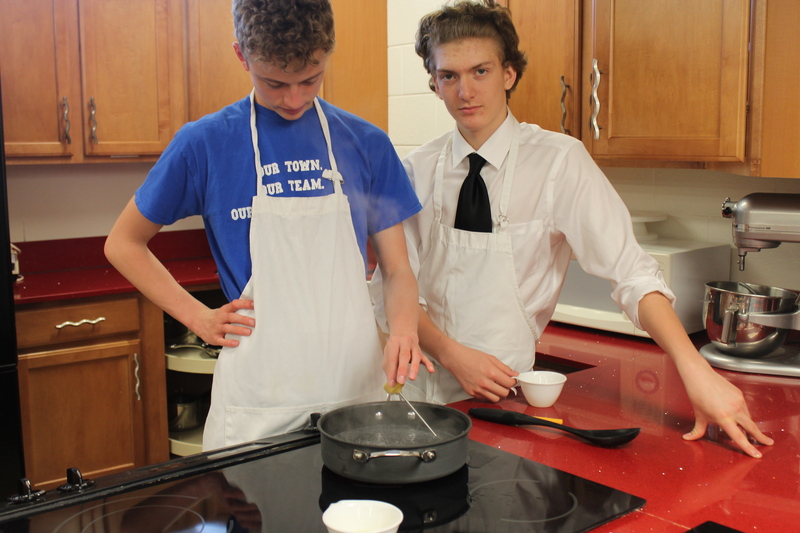 Cooking is a learning experience, even in ties. Guys were doing a presentation prior to my class and an apron was a must today. Here we go, cooked through, demonstrated by Mrs. Brown, not Alton.